Martyn Frear, Business Development Manager at CP Electronics, discusses some of the drivers behind the modular building boom and how lighting control solutions from leading players are helping to meet the requirements of modular building manufacturers. Increased demand for public services, fuelled by a growing population, is putting a strain on the public sector and specifically, the education sector. There is now an acute shortage of school places across the UK. While the situation is particularly problematic in London, it is also a major concern in other parts of the country. 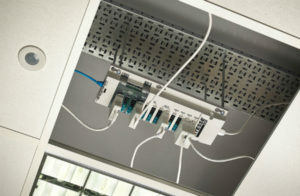 As a result, local authorities are turning to innovative solutions to address the major demand for new school buildings. While finding immediate solutions is already a real challenge, local authorities are also being hampered by limited financial resources. Take into account a growing legal requirement for sustainable, low-carbon buildings and the situation is far from simple. One potential option is modular buildings. Quick and easy to install and available in increasingly high-specifications, modular buildings offer a credible solution to alleviate pressures on the education sector. As the government continues to pursue its programme of cuts to public spending, schools are expected to meet certain educational targets and standards with ever-tighter budgets. At the same time, we are witnessing an unprecedented surge in demand for school places. In London alone, it is estimated that more than 28,000 children will miss out on their first choice of secondary school this year. Across the country the outlook is bleak, with official figures pointing to a national shortfall of 10,000 school places within four years, as pupil numbers continue to rise with each passing year. As demand continues to outstrip supply across the public sector, local authorities face growing calls to address the shortfall in school places. Armed with limited financial resources, a number of local authorities are turning to modular buildings to address the impending school building crisis. Modular buildings… a viable option? 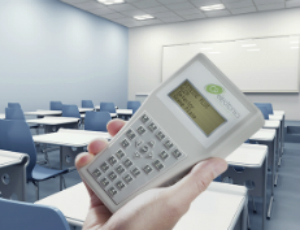 Above all, CP Electronics’ acclaimed range of lighting control products has been designed to satisfy key legislation around sustainability in the education sector by saving energy. With the development of BIM, and growing demand for speed of build and enhanced environmental performance, the process of specifying and designing buildings will change drastically in the coming years. Recognising this development, all CP Electronics products are now available via bimstore and are expected to play a vital role in the construction of sustainable modular-built learning facilities to meet the growing shortage of classrooms in the UK education sector.